Lonestar Round Up is a car show unlike any other; in its 18th year, Lynne Evans has been providing top quality styling since their 2008 event. She was the first female to offer vintage hair-do's to the female attendees of the annual show based in Austin, Texas. "I've been a client for several years now at Lonestar Round Up. Every year when I step into that chair and meet with Lynne there is just something magical that happens. I can't help but see the smiles from strangers as they watch the transformation take place, or feel flattered by compliments I receive after. I also love to see the joy shine through other clients as well. It's a boost of confidence, and I'm not gonna lie, I have only ever left her chair and hands feeling more beautiful. If you're looking for a chance to pamper yourself, or maybe live a dream for a day and walk around an amazing event knowing you're a rockstar, then this ladies, is where you begin." 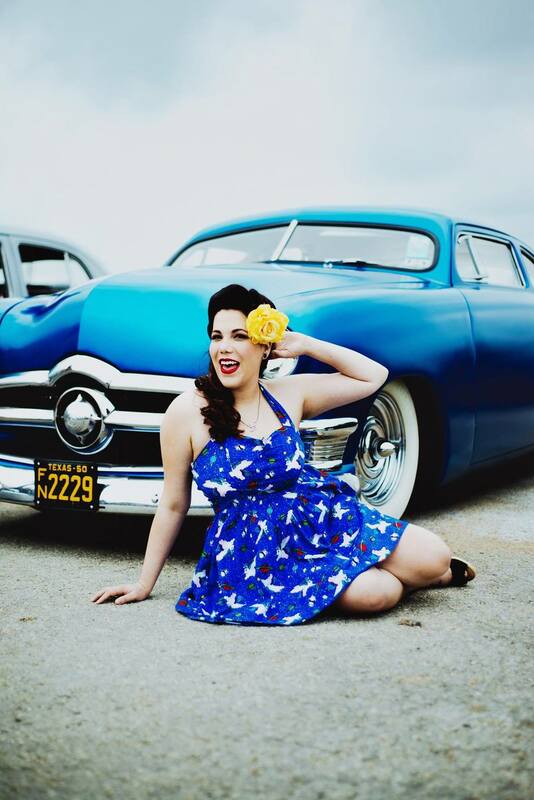 This year The Starlet Parlour is thrilled to pair up with special guest artist LaDonna Stein of Dallas Pin Up, her artistry and knowledge of vintage fashion is beyond compare! 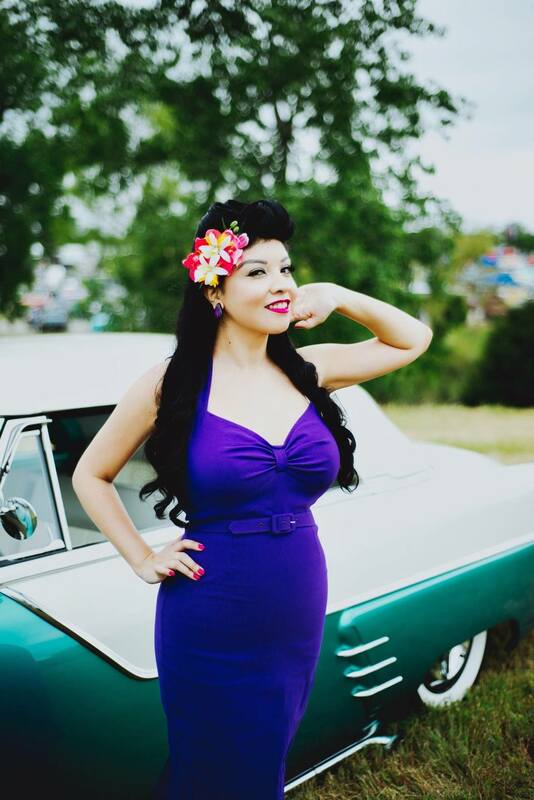 LaDonna is currently the owner and resident makeup artist of the award winning Dallas Pin Up studio in downtown Dallas where she is able to further explore the art of vintage hair and makeup, two of her biggest passions in the world of beauty. Pre-booked appointments are available until April 5th. We sell out every year and it is quite rare that spots become available at the show therefore we suggest securing your spot early. Balance for The Rosie must be paid in full via PayPal, Venmo or SquareCash to hold appointment time. All other appointments may be booked with a $50 non-refundable retainer payable through PayPal, Venmo or SquareCash. The retainer is NON-REFUNDABLE; please keep this in mind prior to booking your appointment. All makeup appointments will be offered by guest artist LaDonna Stein of Dallas Pin Up! All appointments may be booked with a $50 non-refundable retainer payable through PayPal, Venmo or SquareCash. When you are ready to book your appointment, please fill out the form below. We will contact you with further instructions on how to pay your non-refundable retainer fee. Once payment has been received, you will be confirmed for your appointment. Two weeks prior to the show you will be sent a finalized appointment time. That's it, ready to book your date with beauty? You can choose both, if needed. Official appointment times will be sent out two weeks prior to the LSRU.